Birdman’s Michael Keaton (we kid, we kid) is a huge fan of the man who inspired generations of children. He’s such a big fan, in fact, that he hosted PBS’s 2018 Mister Rogers documentary It’s You I Like – which we can’t help but refer to as the other Mister Rogers documentary. It’s You I Like is short but sweet, clocking in at 60 minutes. The documentary digs into the archives of nearly 900 episodes, giving space for celebrity fans like Whoopi Goldberg and Yo-Yo Ma to share their favorite Fred Rogers memories. And Michael Keaton, for all his Birdman sins, is the perfect host. America’s dad Tom Hanks has finished filming A Beautiful Day in the Neighborhood, our most anticipated film of the year. And while some would argue that we’re experiencing some true Mister Rogers overload in movie theatres, this biopic promises something different: throughout the film, we’ll be following journalist Tom Junod as he navigates new fatherhood, his relationship with his own father, and a story he’s been assigned to write on Fred Rogers, which he’s certain will become a puff piece. Tom Hanks hasn’t said much publicly about the decision to step into this legend’s shoes, so we’re really looking forward to the inevitable press junket. Still, you can’t play Mister Rogers without first being a fan. 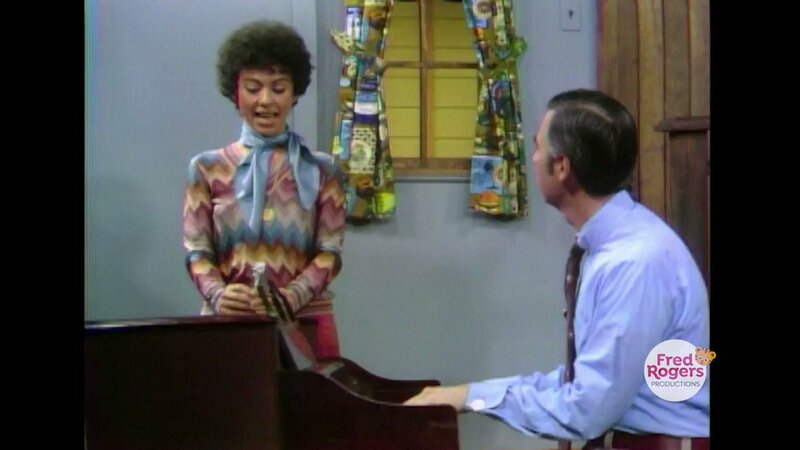 In 1975, Rita Moreno made a visit to the neighborhood to sing “It’s You I Like” with Fred Rogers. It’s an incredible performance, one that showcases Moreno’s voice beautifully. This wasn’t the first performance of “It’s You I Like” – that was in 1971 – but it’s certainly our favorite rendition of the much-loved song. Moreno brought her husband and daughter with her to the taping, which demonstrates a great deal of love and trust towards Fred Rogers and the crew. Just look how natural Moreno and Rogers look while performing together! 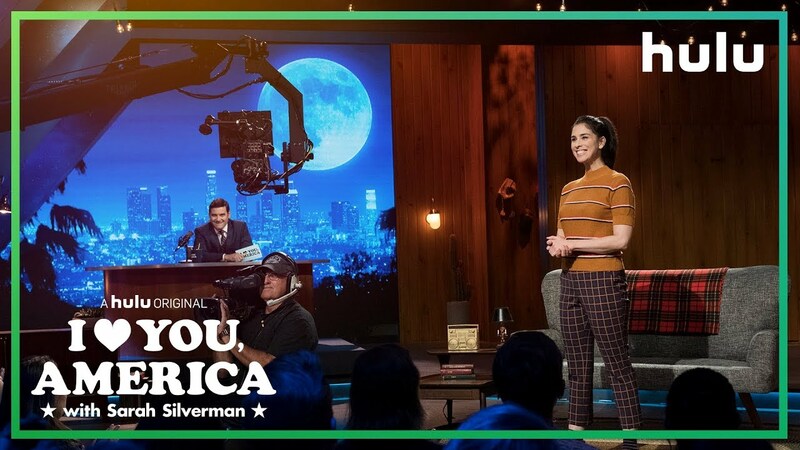 Whenever Sarah Silverman talks about her show I Love You, America with Sarah Silverman, she refers to it as “Mister Rogers for adults.” She’s spent a fair amount of time around politically like-minded folks, which is what makes I Love You, America so different. The show focuses on connecting with folks who disagree with her, leading to much deeper connections and progressive conversations than she’s had in years past. And if Mister Rogers is responsible for this new format, we’re all for it. Her love for the man is real. Just watch her talking head moment on It’s You I Like. When Lin-Manuel Miranda was advocating for National Endowment for the Arts funding in 2017, it was the wisdom of Fred Rogers that he cited. Miranda is adamant that public television isn’t elitist, it doesn’t have a political agenda, and it’s not exclusionary. And it was Fred Rogers who taught him that. “We all grew up with Mister Rogers. We all sang, ‘One, two, three, four, five, six, seven, eight, nine, ten, eleven, twelve.’ That’s for all of us,” he said. Mister Rogers really is for all of us – which is why he’s so special. He lives in our memories and, thanks to the permanence of television, on Amazon Prime Video.